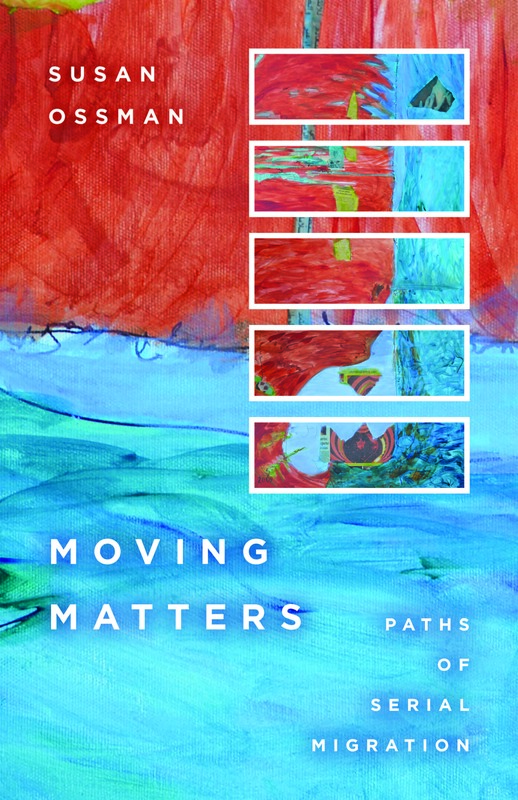 The artists of The Moving Matters Traveling Workshop (MMTW) were born and have lived in different countries. Yet they share a common story of serial migration. While a cosmopolitan may evolve from provincialism toward global consciousness and an immigrant may feel torn between two countries, the “serial migrant” is shaped by her implication in successive environments and the effort to make herself of them all. 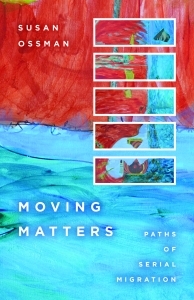 In her book, Moving Matters Paths of Serial Migration, Susan Ossman documents these subjective struggles with the accumulation of ways of being oneself in varied contexts and probes the conceptual implications of taking a mobile approach to the study of subjective commonality and conceptualization of social diversity. Since 2013, the artists of the MMTW have taken her analysis as a springboard for further research, fashioning themselves as a collective to examine their common experience by producing works of art, exhibitions and performances to probe the politics of movement, confinement and migration. The MMTW meetings have also inspired its members to develop work beyond the workshops. Sea Seed an original play by the Los Angeles based Son of Semele Ensemble (SOSE) responds to the book as well as to workshops. Like the MMTW, the play was written through a collaborative process devised and directed by Erith Jaffe-Berg and Matthew McCray. Kayde Anobile’s recent “Home Not Home” solo exhibition at London’s Tintype gallery and Beatriz Mejia-Krumbien’s multiple performances of “Mi Tempo, Mein Raum, My Map” in diverse venues also show the importance of the MMTW for the member artists. At this conference and associated exhibitions and performances at the Center for ideas and Society and the Culver Center for the Arts we revisit the founding concepts, format and art of the MMTW. Through papers, performances and the display of our artwork, we render the results of our sense of commonality and (celebrate?) the forms of collaboration the workshop has generated. We pause to take store of our activities and ask other scholars, artists and critics to participate in this reflection by analyzing the form, artwork, exchanges and conceptual advances of the MMTW. What kind of artistic and collaborative processes has the mobile format generated? Has the project enabled breakthroughs in the understanding of migratory experience and the politics of mobility? If so, how has its mode of associating research and art production contributed to this understanding? Some presentations and panels follow the development of specific works or examine how the workshop’s links site-specific interventions. Others draw on the work of the MMTW to comment on how the workshop adds to Ossman’s research, to reconsider or expand path-oriented approaches to social life and propose new themes or new media for future workshop activities. Racheal Adair, Kayde Anobile, Alexandru Balasescu,Adam Berg, Andreea Campeanu, Blanca Casas-Brullet, Paulo Chagas, Alondra Celemente, Ariane Dalla Dia, Stephen William Foster, Trangdai Glassey-Tranguyen, Rickerby Hinds, Erith Jaffe-Berg, Stephen James, Lydia Nakashima Degarrod, Guillaume Lasserre, Peter Leese, Ela Wojcik-Leese, Juliette Levy, Felip Marti-Jufresa, Beatriz Mejia-Krumbein, Sally Ann Ness , Susan Ossman, Judith Rodenbeck, Jeffrey Sacks, Christina Schwenkel, Priya Srinivasan, Olga Sezneva.